This model includes a 6G baseline unit plus an RFEM24G Expansion Module conveniently assembled and tested. It comes with two SMA connectors and two antennas: a rubber duck 5.8 GHz and a whip helical for 2.4GHz band. 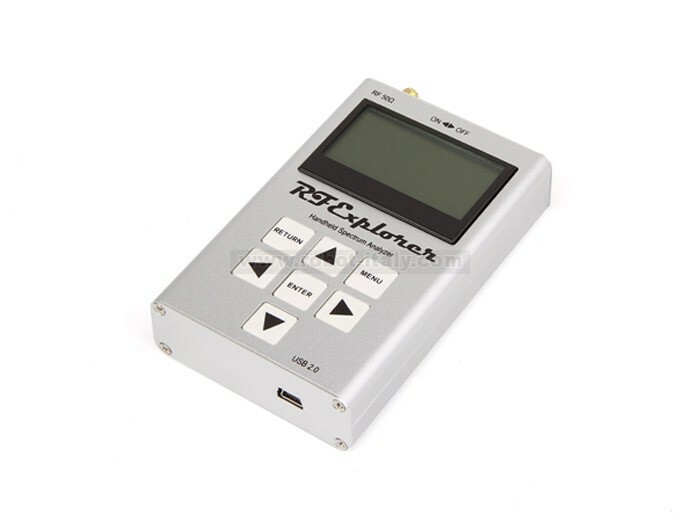 RF Explorer is a handheld digital spectrum analyzer, a very affordable tool for work in all popular frequency bands. It is based on a highly integrated frequency synthesizer and double balanced mixer which offers high performance, compact size, low consumption and low cost. 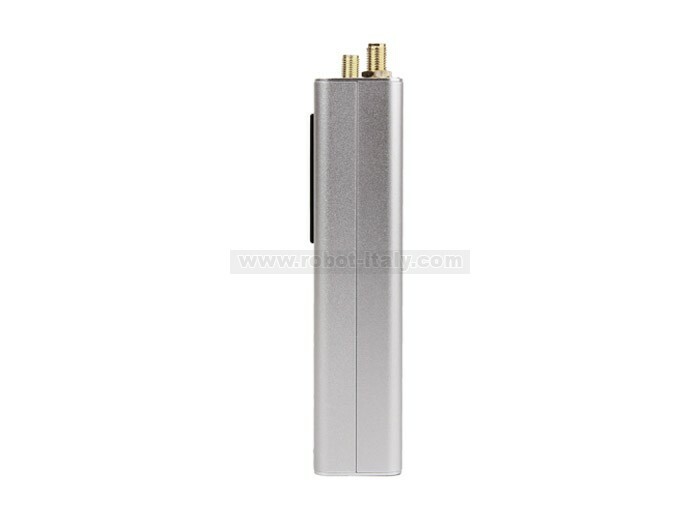 It has been designed to be used equally well outdoor and indoor, and can be connected to a PC for extra functionality using standard mini-USB 2.0 connector. This model includes a 6G baseline unit plus an RFEM24G Expansion Module conveniently assembled and tested. 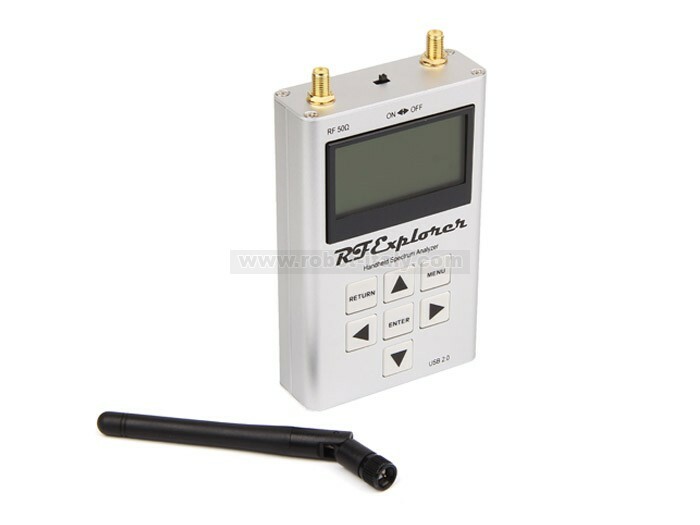 It comes with two SMA connectors and two antennas: a rubber duck 5.8 GHz and a whip helical for 2.4GHz band. Additional, specific band antennas may be needed to cover efficiently some of the frequencies supported. The combination of these two models offer coverage for most used communication frequency range used in modern communication technologies including WiFi, Bluetooth, Wireless Audio and Video, 5GHz ISM, etc. Wide band coverage to all popular RF ISM frequencies, starting at 2350MHz and going up to 2550MHz, as well as 4850-6100MHz. 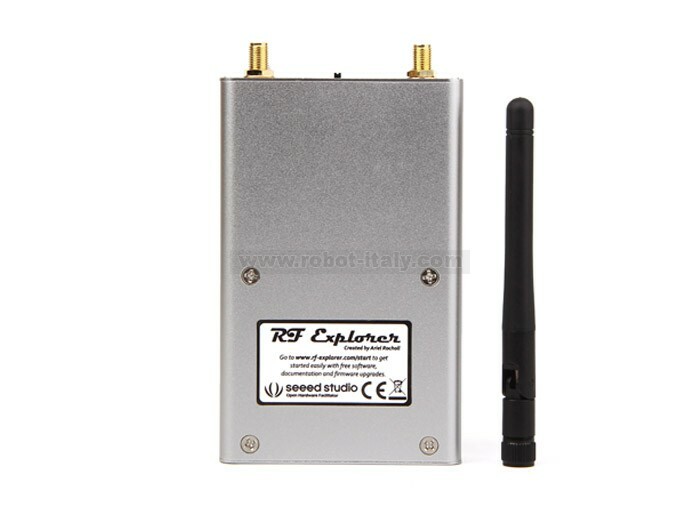 Firmware: RF Explorer WiFi Combo is delivered with upgraded firmware v1.12. Note some of the features and operation accuracy will be improved in upcoming lifetime free firmware revisions. 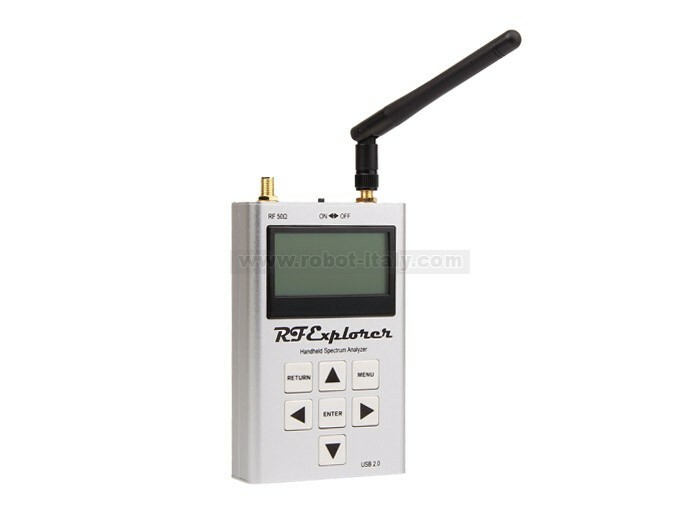 Note this unit includes RF Generator functionality limited to the 2.4GHz range. 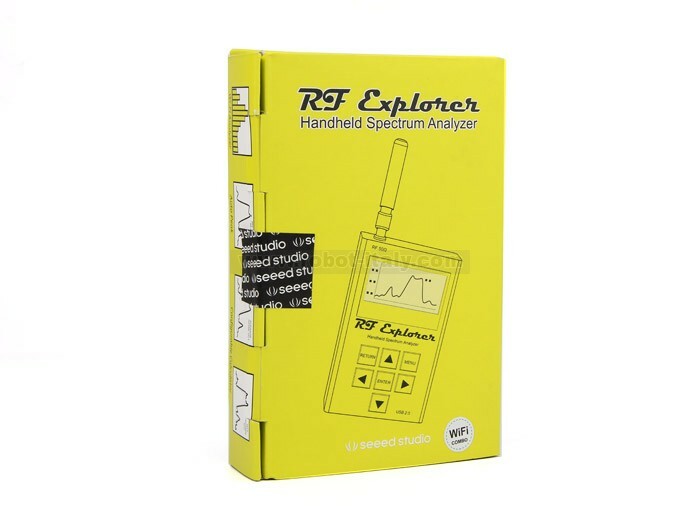 For full signal generator and tracking coverage please consider RF Explorer Signal Generator model RFE6GEN.